We are excited to introduce a new collection of headwear for Summer 2018. This collection was concepted during a huge office cleanup last month – While cleaning and organizing, we found several small rolls of either unused sample fabric or left over fabric from previous projects. 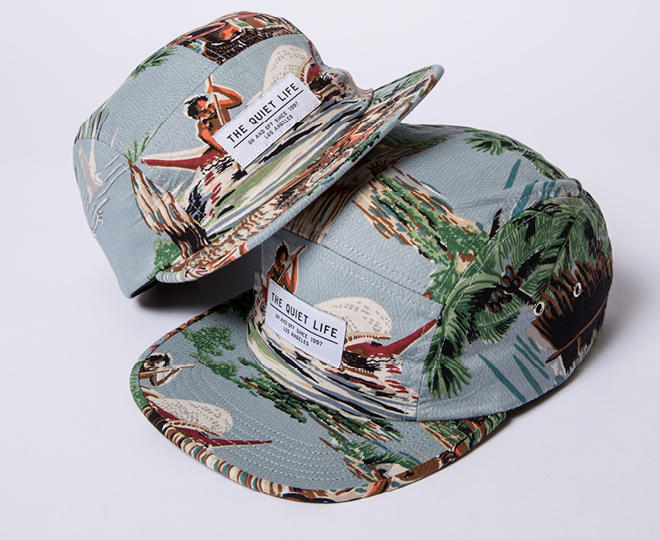 We instantly new we wanted to use this fabric and create a new capsule of our classic Made in the USA five panel hats. All of these hats are very limited – Here’s a quick descriptions of each. This new hat features an amazing “Liberty of London” fabric and comes in blue and black. Only 25 of each color are available due to limited fabric stock. Made in the USA. During our office clean up we found about 4 yards of fabric left over from a collab we did with Watershed Shop ( from the UK ) from a few years ago. This hat original came out as a two tone 5-panel with corduroy bill and a polo hat and a collab woven label. This new version features an all over design with lip wrap. The placement of the art on each hat if unique. 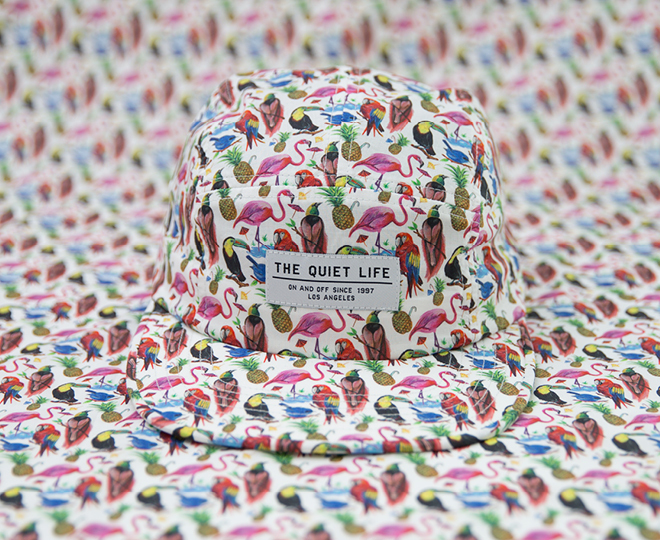 Only 20 were made due to limited supply of headstock fabric and this hat will not be made again ( no more fabric ). Made in the USA. 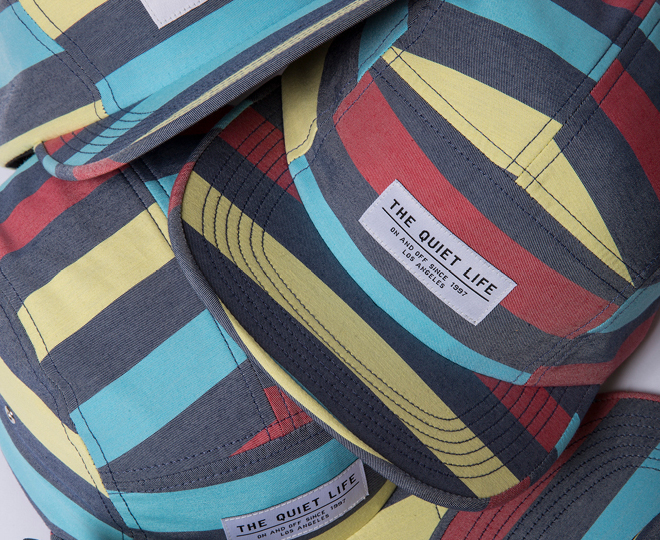 This five panel features an amazing water wicking swimsuit fabric from Portugal. We originally used this fabric as a polo hat with Script embroidery. It’s great to see it as a five panel now. Only 20 were made due to limited fabric. Made in the USA. 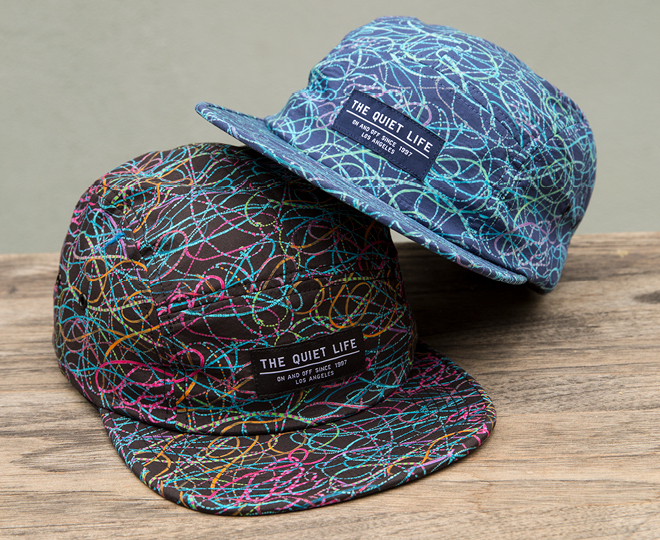 The original version of this five panel sold out so fast… that we’ve brought it back for a final run. Only 20 are available due to small fabric supply. This is a staff favorite! Made in the USA. Go to the shop section for more info.